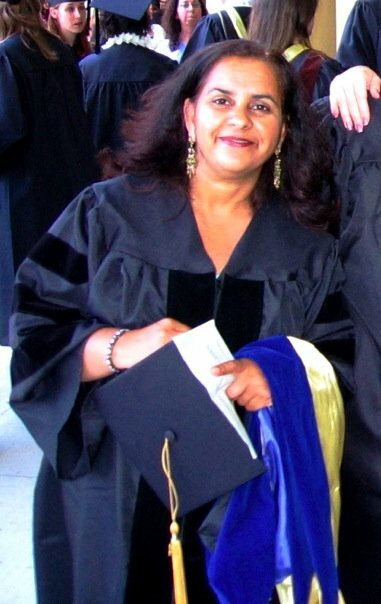 Dr. Satinder Hawkins has been an Adjunct Professor in Rossier’s Master of Arts in Teaching program since 2011. She has taught both Guided Practice and Pedagogy for Social Science Teachers. Professor Hawkins has been a classroom teacher for 25 years and has twice been selected for inclusion in the Los Angeles County Teacher of the Year program. She taught middle school for 15 years in both the Los Angeles Unified School District and the Long Beach Unified School District and currently teaches at Millikan High School in Long Beach. Her schedule includes Advanced Placement Macroeconomics and she is piloting a new Advanced Placement Human Geography course for 9th Graders. Professor Hawkins is National Board Certified in both Early Adolescent (2001) and Young Adult (2010) students. Over the years, she has served as the History Department Chair, Instructional Program Facilitator, and Leadership Team Chair among many other leadership roles. Dr. Hawkins was selected by her colleagues as the recipient of the Carpe Diem Award for Leadership in Middle Reform and has presented at the National Middle School Association Conference in Atlanta and Chicago on creating effective new teacher support programs. Dr. Hawkins earned her EdD in 2006 from a joint doctoral program between the University of California at Irvine and the University of California, Los Angeles. Her dissertation topic investigated factors that influence academic success among high school boys. Prior to that, she attended California State University at Long Beach where she earned her Master of Arts in the Sociological Foundations of Education, her Bachelor of Arts in History, and her Single Subject Social Studies credential.